and Glescy Trinidad of PESO (right). LOS BAÑOS, Philippines—The local community Public Employment Service Office (PESO) has received 10 computers from the International Rice Research Institute (IRRI) to support its employment training programs in computer literacy and computer systems servicing. The program serves out-of-school youth from Los Baños and Bay towns, IRRI's host communities. Caesar Perez, mayor of Los Baños, is quite proud of PESO's work. PESO provides employability skills and livelihood training to individuals from the disadvantaged sectors of the community. This helps them to increase their employment opportunities and contribute to the town’s economic growth. In 2015, about 300 people graduated from the program. The graduates come from Nagcarlan, Lumban, Sta. Rosa, Pila, Victoria, Calamba as well as from IRRI’s host communities of Los Baños and Bay. PESO conducts the training with support from the Technical Education and Skills Development Authority (TESDA). A National Certificate is given to those who have finished a course or pass the TESDA assessment after completing their skills training. The program is supported by the One Meralco Foundation, the corporate social responsibility (CSR) initiative of the Meralco company. “IRRI started working with the One Meralco Foundation, the municipalities of Bay and Los Baños, PESO, and Technical Education and Skills Development Authority as part of its CSR initiative in 2009,” said Dr. Bruce Tolentino, head of communication and partnerships at IRRI. "Before, we conducted community livelihood projects with the barangays ourselves, but it was unsustainable," recalled Mr. Lito Platon of IRRI's partnerships office. "Now, it's more sustainable because different partners are uniquely contributing to the project. For example, IRRI coordinates the activities, One Meralco Foundation provides the funds, while PESO and TESDA train, certify the graduates, and make sure they find jobs. So this is really a partnership with a purpose." Aside from computer literacy and computer systems servicing, PESO provides courses in massage and reflexology, massage therapy, beauty care, electrical wiring, bread and pastry, garments or dressmaking, and motorcycle repair. Next year, PESO aims to add an automotive course. An agreement between Loc Troi, IFC, and IRRI signed during the SRP Annual Plenary Meeting in Vietnam seeks to produce sustainably certified rice. 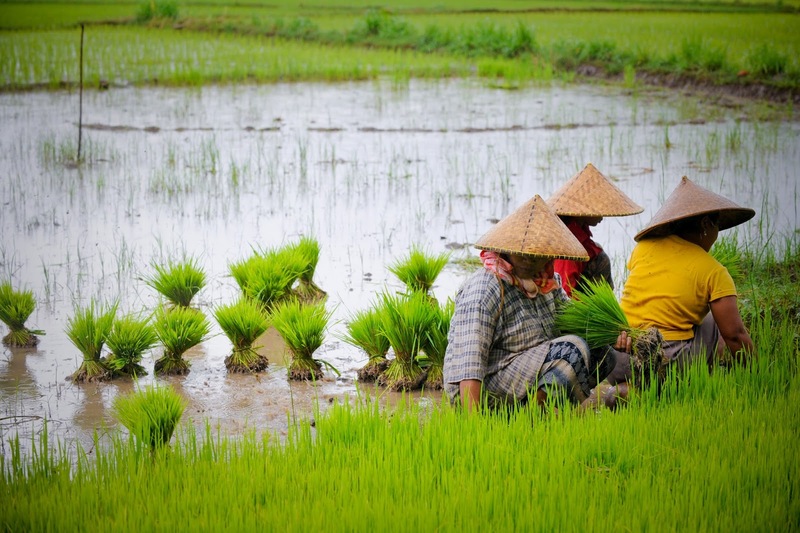 LOS BAÑOS, Philippines—About 4,000 Vietnamese farmers are expected to be compliant with the global standard for sustainable and more efficient rice cultivation by the end of 2018. This is the goal of an agreement between the Loc Troi Group, the International Finance Corporation, and the International Rice Research Institute (IRRI) signed on 7 December. "Specializing in contract farming, Loc Troi wants to be among the first companies to produce sustainably certified rice," said Dr. Sarah Beebout, an IRRI scientist involved with the Sustainable Rice Platform (SRP). SRP is a global alliance of agricultural research institutions, agri-food businesses, public sector and civil society organizations convened by the United Nations Environment Programme and IRRI to develop innovative solutions to critical sustainability challenges facing the global rice sector. The SRP Standard for Sustainable Rice Cultivation uses environmental and socio-economic benchmarks to maintain yields for rice smallholders, reduce the environmental footprint of rice cultivation, and meet consumer needs for food safety and quality. "As Loc Troi ramps up its production for export, it sees the environmental issues as important," Beebout said. "We don't have a final answer yet on how high you have to score in each of the indicators to get certification—that's still in process—but the company is already getting in on the front to show it can make steady improvements in each of the benchmark areas." Farmers can be encouraged to follow the SRP standards because one of its indicators is profitability. "We're coming from the assumption that farmers aren't going to do anything that decreases their profitability for the sake of anything else," explained Beebout. "So the question is can we increase the other indicators while keeping profitability high?" From December 2015 to April 2016, 50 farmers each from Dong Thap, An Giang, and Kien Giang in Vietnam’s Mekong Delta initiated the first season’s pilot testing of SRP Standards. Technical support and training was provided by Mr. Joel Janiya, IRRI extension agronomist. The pilot test will run for another season to complete the validation but the farmers decided to continue implementing the SRP Standard to produce “safe” rice. For the next two years, Beebout and other IRRI scientists will visit project sites in the Mekong Delta to support Loc Troi’s technicians and participating farmers on the proper implementation of the Standard for Sustainable Rice Cultivation. Aside from the technical support, the institute will also help Loc Troi's extension system set up a training program for the 4,000 farmers through IRRI Education. LAOAG, northern Philippines—The Provincial Government of Ilocos Norte and the International Rice Research Institute (IRRI) are collaborating to introduce new rice varieties and technologies to help local rice farmers cope with climate change. 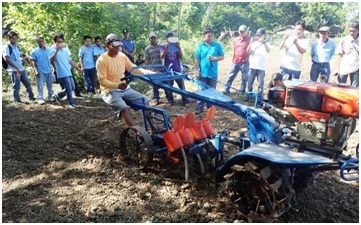 The collaborative program, known as Tikag (drought), provides smallholder farmers access to climate-resilient rice varieties and technologies under the Consortium for Unfavorable Rice Environment (CURE) and the locally fabricated mechanized dry direct seed driller developed by the MP Seeder Project (see photo). “Hopefully, these new technologies could reduce the risks in rice production in northern Luzon and help farmers suffering from unpredictable drought and typhoons every year,” said Dr. Yoichiro Kato, a rainfed lowland agronomist at IRRI and lead of the MP Seeder Project. 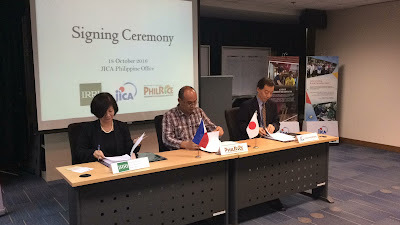 Tikag is a collaborative project of local government units in Ilocos Norte, Philippine Rice Research Institute, and the Department of Agriculture (DA)-Dingras. CURE is funded by International Fund for Agricultural Development while the MP Seeder Project is funded by the DA. Farmers’ Field Days held, respectively, in Currimao and Burgos on 7 and 8 December attracted more than 200 farmer leaders and local extension staff from 20 municipalities of Ilocos Norte. The participating farmers showed their willingness to adopt both the MP seed driller and the drought-tolerant varieties, particularly Sahod Ulan 12 which can be harvested from 93 to 99 days after planting. The MP Seeder will significantly reduce the time and cost of establishing their rice crop, and the short duration and drought-tolerant will enable us to harvest more than before, according to Mr.Candido Velasco and Mrs. Teresita Menor, participating farmers from Currimao. Provincial Governor Imee Marcos, in her message to the field day participants, expressed her gratitude to IRRI’s continuous support. She encouraged the farmers to use new the drought-tolerant rice varieties and the mechanized dry direct seeding for the coming 2017 wet season. Rodolfo Garcia, mayor of Burgos, and Gladys Go-Cue, vice mayor of Currimao, attended the respective field days. ALABANG, Muntinlupa City, 28-29 November—The current practices of Filipino rice farmers and the varieties they are using are continually being upgraded by the International Rice Research Institute (IRRI) to help them adapt to the unpredictable effects of climate change. This was an observation from Dr. Yoichiro Kato, a rainfed lowland agronomist at IRRI, during his presentation at the recent 10th Annual Scientific Forum and Meeting, organized by the Philippine Association of Career Scientists, Inc. (PACS). The event attracted Kato and other international and national scientists from different disciplines who shared insights from their research activities in improving farmers’ planting practices. Kato, when discussing other adaptive measures for growing rice under the current Philippine weather and climate conditions, cited Central Thailand's rice farming model, which uses a number of the dynamic farming approaches recommended by IRRI. He also shared his three-step research philosophy for agricultural science: (1) know your own target; (2) get robust evidence; and (3) understand reasons behind the results. 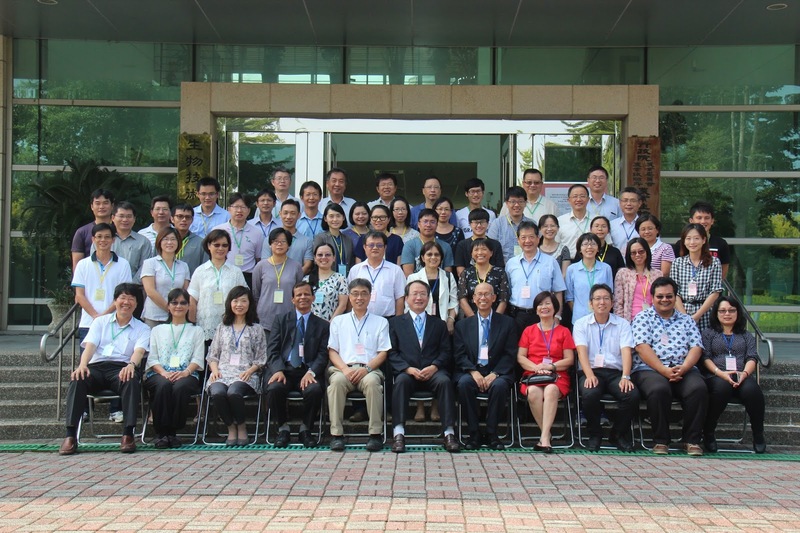 “This is my personal strategy to effectively implement basic researches in rice agronomy,” Kato said. Dr. Ricardo Orge, from the Philippine Rice Research Institute (PhilRice), presented his study on coping with climate change in the Philippines. He gave an overview of Palayamanan, a PhilRice initiative on water-saving technology for diversified and integrated system of farming. Orge’s presentation stimulated a discussion on budget limitations for rice-farming research. According to Evelyn Mae Tecson-Mendoza, Scientific Career Council Executive Secretary Academician, research and development (R&D) in the Philippines are lagging behind in the number of R&D personnel per million persons in the population. This lags far behind other members of the Association of Southeast Asian Nations and needs to be remedied. The Philippine Scientific Career System and the National Academy of Science and Technology collaborated with PACS in sponsoring the forum. Participants discuss and chart the next steps in conducting adaptive research on integrated pest management in Cambodia. PHNOM PENH, Cambodia—A project led by the International Rice Research Institute (IRRI) in Cambodia is set to conduct on-farm research to develop site-specific, environment-friendly integrated pest management (IPM) packages for the country’s rice farmers. The project, EPIC (Development of ecologically-based, participatory IPM package for rice in Cambodia), has ramped up its plans to conduct adaptive and participatory research on IPM to help Cambodian rice farmers reduce their use of chemical pesticides. The plans, along with forming regional- and provincial-based learning alliances and target-specific communication initiatives, were announced during the annual meeting and workshop of the EPIC project on 1-2 December. “Adaptive research will take a prominent role in the work that EPIC project will do,” said Dr. Sang Lee, representative of the United States Agency for International Development (USAID) mission in Cambodia. “This is critical to be able to fine-tune, adjust, and perhaps even change course to address the complex ecological solution that the IPM program plans to address.” The EPIC project is supported by USAID’s Feed the Future Initiative. Workshop participants shared and discussed the initial results of survey activities and field trials conducted in Prey Veng, Battambang, Takeo, and Kampong Thom Provinces. Sessions were conducted to map out future initiatives on forming learning alliances, conduct of adaptive research, and information dissemination and capacity enhancement. “We are reviewing what has been done in the past year in partnership with GDA and the Cambodian Agricultural Research and Development Institute (CARDI) so we can chart the next direction of the project in Cambodia,” said Dr. Buyung Hadi, IRRI entomologist and EPIC project coordinator. Dr. Seng Vang, Deputy Director General CARDI, also shared that these initial achievements would not have been possible without the all-out support and cooperation of other partners. More than 50 participants attended the meeting including representatives from GDA, CARDI, the Cambodian Center for Study and Development in Agriculture, German Federal Ministry for Economic Cooperation and Development, Virginia Tech, Cornell University, and the Provincial Department of Agriculture, Forestry, and Fisheries of Battambang, Prey Veng, Takeo, and Kampong Thom. WEST BENGAL, India—There are many stress-tolerant rice varieties that have been released in India. However, seed producers and companies in the country’s eastern region urgently need to be more aware of their availability and ways to promote them. So, a varietal exhibition and a workshop were held recently in Birbhum to do just that. The events aimed to improve seed supply and accelerate the adoption of suitable varieties by small and marginal farmers living in the region’s stress-prone areas. The International Rice Research Institute (IRRI) in India facilitated the activity through its project, Stress-Tolerant Rice for Africa and South Asia (STRASA). To support its objective, STRASA brought together around 140 representatives from seed dealers, seed producers, private seed companies, state seed corporations, nongovernmental organizations, progressive farmers, and others from Odisha, Jharkhand, West Bengal, Uttar Pradesh, Bihar, and Assam to enhance their knowledge of new stress-tolerant rice varieties. The on-farm displays featured almost all the stress-tolerant rice varieties released in India along with some popular high-yielding varieties from eastern Indian states. The participants were able to observe the traits of these improved rice varieties. The IRRI-STRASA workshop covered various aspects of the seed supply chain to help the private sector develop better seed markets and strategies for scaling-up the varieties’ production and adoption. During the workshop, Dr. Gary Atlin, (third from right in photo) senior program officer at the Bill & Melinda Gates Foundation, stressed the role of private seed companies and dealers in supplying quality products to the farmers and need to promote climate-resilient rice varieties. IRRI, through STRASA, is currently working to build the capacity to scale out stress-tolerant rice varieties across South Asia. LOS BAÑOS, Philippines—The International Rice Research Institute (IRRI) has been granted membership into a global agricultural technology stewardship program that promotes responsible management of plant biotechnology research. The program’s focus is to develop and encourage implementation of ethical practices and educating the public about those practices. Excellence Through Stewardship (ETS) is a global nonprofit organization that promotes the universal adoption of stewardship programs and quality management systems for the full-life cycle of agricultural technology products. The organization assists its members in the implementation (or improvement) of stewardship programs and quality management systems and facilitates auditing by independent third parties to verify them. IRRI recognizes the importance of ensuring responsible conduct of transgenic research with the highest ethical standards in its operations and activities. It also knows the potential risk of intentional and unintentional release of transgenic materials, which may result in reputational, financial, and/or operational damage. IRRI’s regular membership in ETS paves the way for it to successfully complete a third-party independent audit. ETS recognition will serve as a testament to IRRI’s standard of excellence in transgenic research. IRRI’s application for regular membership was facilitated by the Transgenic Stewardship Office under the newly created Research Infrastructure and Operations Unit of the office of the Deputy Director General for Research. The application was evaluated by the ETS Board of Directors and membership acceptance was confirmed on 17 November. ETS membership is open to technology companies, academic institutions, public and private research organizations, seed producers, licensees, and other service providers engaged in discovering, developing, handling, or commercializing biotechnology-derived plant products. In addition to IRRI, the CGIAR-member institutes accepted by ETS are the International Maize and Wheat Improvement Center (CIMMYT), the International Center for Tropical Agriculture (CIAT), and the International Institute of Tropical Agriculture. Other organizations holding ETS membership include BASF Plant Science, Bayer CropScience, Monsanto Company, and Syngenta Seeds Inc. The celebration of the 50th anniversary of rice variety IR8 is very timely for the International Center for Tropical Agriculture (CIAT) and its partners in Latin America. 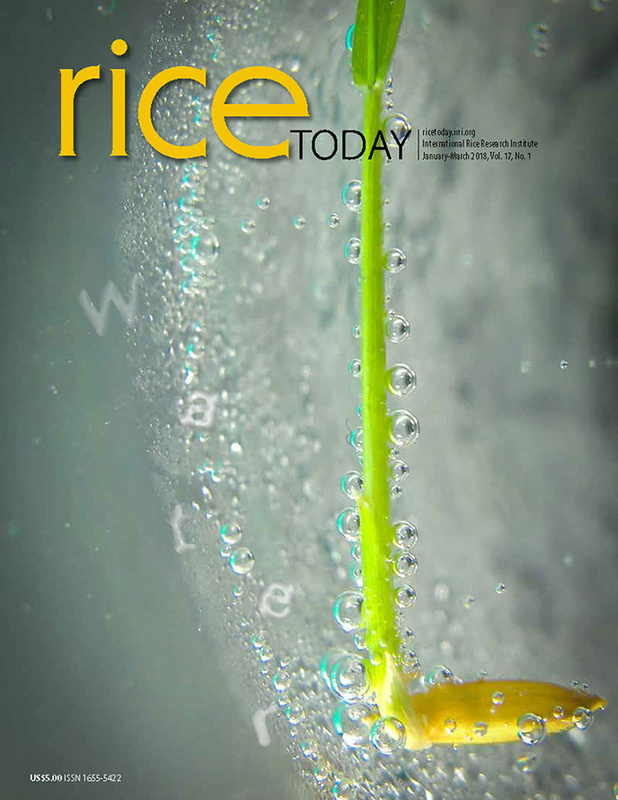 The variety’s release impacted the evolution of rice breeding programs, the development of rice varieties that have been released since then, and agronomic crop management. CIAT will mark the IR8 anniversary on 28 November at its headquarters in Cali, Colombia. 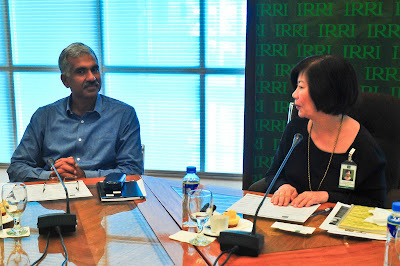 The International Rice Research Institute (IRRI) initially introduced IR8 in the Philippines and India, but it was rapidly adopted by thousands of farmers around the world, including Latin America. Short stature, early maturity, and high-capacity performance were the defining characteristics of IR8 that allowed the production of rice to quadruple. In 1966, the same year that IR8 was released in the Philippines, IRRI breeder Peter Jennings sent 100 kilos of seed to Jorge Ruiz Quiroga, then manager of the National Federation of Rice Growers of Colombia (FEDEARROZ). He was responsible for expanding the use of IR8 by farmers affiliated with the Federation. IR8 had a great impact on rice production in Colombia and, subsequently, in other tropical countries of Central and South America as well as the temperate regions of the continent’s Southern Cone. This was the beginning of the first Green Revolution in Latin America. By 1967, CIAT had been established in Colombia and an inter-institutional collaboration with the Colombian Agricultural Institute (ICA) and FEDEARROZ was established. By the end of the 1980s, all irrigated and rainfed areas were sown to semidwarf varieties derived from IR8, such as Cica 4 and 8, Oryzica 1, Oryzica Llanos 4 and 5, Metica 1, and Oryzica Caribbean 8, among others. 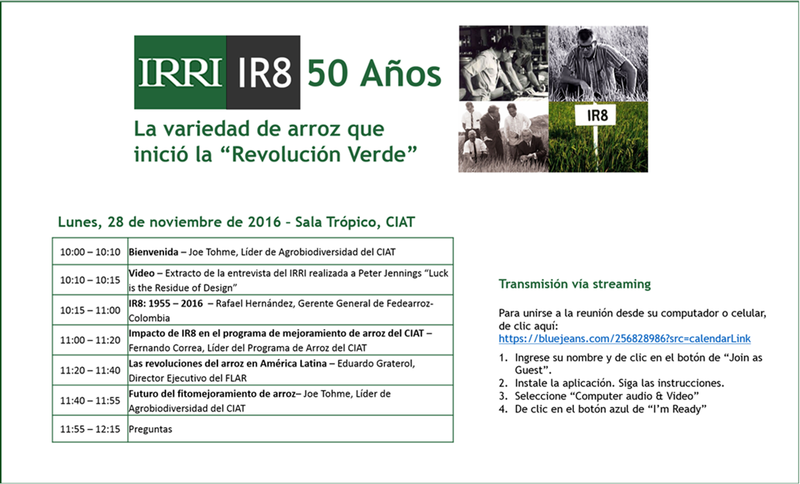 CIAT’s celebration, to be held in conjunction with Fondo Latinoamericano para Arroz de Riego (FLAR) and FEDEARROZ, will include presentations and discussions on the importance and impact of IR8 in Colombia and Latin America (click on the image above for more details). Additionally, there will be a discussion on the future of rice research in Latin America and the opportunities offered by new biotechnological tools and conventional technologies that could lead to the continent’s second Green Revolution in rice. Enter your name and click the button "Join as Guest"
Install the application. Follow the instructions. Select "Computer Audio & Video"
Click the blue button "I'm Ready"
is demonstrated to farmers during a rice straw management field day held earlier this year at Don Bosco, Battambang. 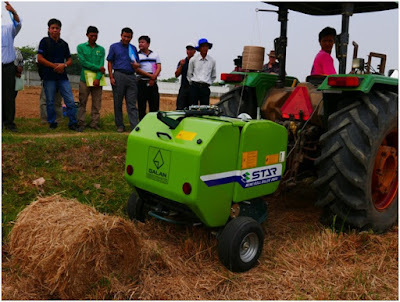 PHNOM PENH, Cambodia, 5 November—Rapid advances and innovations in agricultural mechanization are making it difficult to fully understand how Cambodian farmers might best use these new technologies. Many roles previously held by the public sector in developing and introducing such technologies are being taken over by players in the private sector. However, this development offers opportunities for effective public–private sector partnerships to solve complex problems related to mechanization and postharvest activities. The Postharvest and Mechanization Group at the International Rice Research Institute (IRRI) has been monitoring mechanization trends in Cambodia. 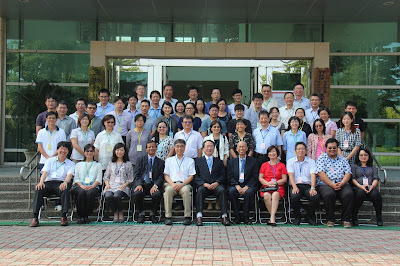 Recently, it organized a joint research platform meeting on mechanization, postharvest, and byproduct management at the General Department of Agriculture of the Ministry of Agriculture, Fisheries and Forestry (MAFF). Key stakeholders from the government, private sector, university, civil society groups, and projects with mechanization activities discussed their current initiatives. They also looked to find ways to move forward, especially with stronger involvement of potential new partnerships tied to IRRI through the RICE program that will start in 2017. “Labor shortages and the move towards commercializing rice in Cambodia increase the need for mechanization,” said Dr. Meas Pyseth, director of MAFF, during his presentation on the country’s bottlenecks in rice production. Dr. Bob Martin, director of private Agricultural Systems Research in Cambodia, and Gary Townsend, manager at Harvest Center (Cambodia) Co., Ltd., presented interesting initiatives through public-private partnerships. These include evaluating new machines such as seed drills; drones to assist in nitrogen applications and in surveying as part of land leveling; tractors steered through GPS; and improved disk plows, rotavators, and balers. They see these as part of the trend towards managing large land areas with less labor. Civil society and universities are also pursuing initiatives on improving technologies that are directly used by smallholder farmers, such as small mechanized sprayers, mulch-based cropping systems, and fertilizer spreaders. One aspect the meeting was the joint interest in looking at new direct seeding options in the context of a systems approach. This involves varieties more suitable for mechanization, minimum tillage, and improved rice straw management. The IRRI mechanization group will continue the dialog with ongoing capacity building for mechanization as it has been doing recently through support provided to various partners by Mr. Gerald Hitzler, IRRI-Centre for International Migration and Development expert based at the Royal University of Agriculture in Phnom Penh. The joint research platform meeting was led by Mr. Hitzler and Dr. Nguyen Van Hung, a scientist in IRRI’s postharvest and mechanization group. LOS BAÑOS, Philippines—“When I grow-up, I want to be a farmer,” said one of the students of the German European School Manila who participated in a recent program at the International Rice Research Institute (IRRI) to learn more about rice and how the crop is grown. On 9 November, 70 students from the school had the time of their lives as they participated in the Rice Planting Activity for Youth at IRRI. Other young people also attended the activity other days this month, including 150 students from St. Paul College of Parañaque and 25 students from Keys School Manila. After plowing a field, the students transplant rice seedlings using their bare hands under the heat of the sun, which gives them an idea of what farmers do to ensure that their families and consumers will have rice on their tables at mealtime. “Many students come out of the experience quite happy and satisfied with the hard work they did,” Arboleda said. She calls on all youth to come to IRRI to experience having their feet in the mud! “This is an awesome activity,” she exclaimed enthusiastically! Engaging youth in agriculture has been an important issue as fewer young people worldwide consider agriculture as a future career. Every year, droves of young people migrate to the cities looking for work. While the agriculture sector faces numerous challenges, exciting technological innovations could help change perceptions and make farming more interesting for young people. The Rice Planting Activity for Youth is jointly facilitated by the Events and Visitors Office, the Zeigler Experiment Station, and IRRI Education. Schools interested in participating in the program may contact Achu Arboleda at m.s.arboleda@irri.org. LOS BAÑOS, Philippines, 9 November—Rice is the second most widely consumed crop, next to wheat, in Afghanistan. Low national productivity, however, means that the country has had to import rice from Pakistan and Kazakhstan to meet local demand. 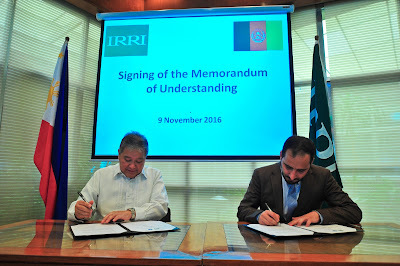 Representatives from the Afghan Ministry of Agriculture, Irrigation, and Livestock (MAIL) have signed a memorandum of understanding with the International Rice Research Institute (IRRI) that is expected to boost rice production in the landlocked country. The MOU involves the introduction of improved rice varieties, technical support, exchange of information on rice research-related concerns, and training and capacity building. 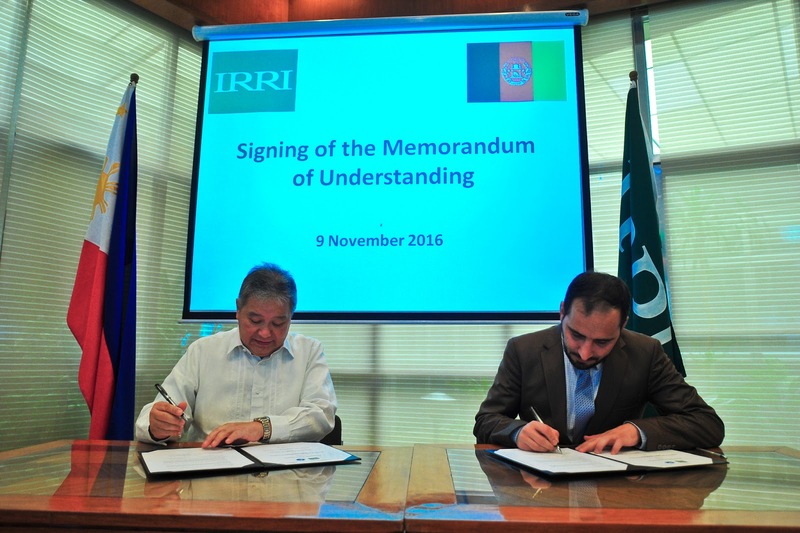 "We really want IRRI to be engaged in rice research work in Afghanistan," said Hamdullah Hamdard, MAIL General Director of Extension and Agriculture Development (right in photo). Qudratullah Soofizada, MAIL Acting Director of Adaptive and Applied Research, emphasized the importance of developing rice varieties with better quality adapted to the country's different rice-growing zones. Currently, the ministry works with the Japan International Cooperation Agency (JICA) to introduce new rice varieties in the country. Bruce Tolentino, IRRI Deputy Director General for Communication and Partnerships (left in photo), assured the Afghan partners of IRRI’s support for codeveloping a program with MAIL to enable the ministry to access more rice seed as needed. Mr. Soofizada expressed interest in technical support from IRRI for characterizing traditional Afghan rice varieties. A MAIL survey has found that Afghanistan has more than 100 landraces of rice with potentially useful genetic traits for plant breeders. Afghanistan is a member of the South Asian Association for Regional Cooperation (SAARC). HANOI, Vietnam – Former Minister of Agriculture and Rural Development Cao Duc Phat was honored by the International Rice Research Institute (IRRI) with an award and a dinner reception on November 4, for his “ardent support” of the Vietnam-IRRI collaboration. BANGKOK, Thailand, 18-19 October—Agricultural production is low in coastal Bangladesh, particularly in the country’s low-lying tracts of land enclosed by dikes that form an artificial hydrological system known as polders. So, national institutes of Bangladesh, nongovernment organizations, scientists from international projects and organizations, and donors have come up with an integrated plan of action to help improve the food security in coastal Bangladesh. This was the result of the two-day workshop, Towards a better integration of R4D for improved food production systems in the coastal zone of Bangladesh, which was conducted in Bangkok. “Since the Ganges coastal zone has lowlands between huge tidal rivers, polders were formed in the 1960s and 70s to protect the coasts from tidal flooding and saline water intrusion,“ said Sudhir Yadav, a water scientist at the International Rice Research Institute (IRRI). Recognizing the needs and opportunities in these coastal areas, investment in the development of this region is now a priority of the Government of Bangladesh. Aside from the significant investment of the government in R4D in the coastal zone through its national research and extension system, international donors, especially USAID, the Australian Centre for International Agricultural Research (ACIAR), and CGIAR Research Programs (CRPs) are also investing considerably in R4D and outscaling projects in the region. However, most of these national and international projects operate in isolation from each other with little awareness of what others are doing. Among them all, these projects and programs hold a great diversity of disciplinary expertise, experience, networks, and indigenous knowledge. The workshop was an initial effort for greater information sharing and networking across the projects and programs. Twelve international R4D projects on the coastal zone in the country were discussed. The workshop was funded by GRiSP, with additional support from ACIAR and the CRPs on Grain Legumes; and Water, Land, and Ecosystems (WLE). The workshop was well represented by national institutes such as the Bangladesh Agricultural Research Council, Bangladesh Rice Research Institute, Bangladesh Agriculture Rice Research Institute, Bangladesh Water Development Board, and the Department of Agricultural Extension of Bangladesh. Representatives from donors included USAID’s Feed the Future Sustainable Intensification Innovation Lab; ACIAR; and CRPs such as GRiSP, Grain Legumes, and WLE. Other CGIAR centers also participated including the International Maize and Wheat Improvement Center, International Crops Research Institute for Semi-Arid Tropics, and the World Fish Center. BRAC, a nongovernment organization in Bangladesh, was also present as were universities and other international organizations and agencies.